The president of Planes of Fame tells us about the museum, restoring warbirds and historic aircraft, and flying heritage flights. Also, we look at the world’s largest jet engine, restraints on open-door helicopter flights, United Airlines and dogs, facial scanning at airports, the Boeing 737 Max 7 first flight, hacking the aviation industry, and GPS vulnerabilities. Steve Hinton is president of Planes of Fame Air Museum, which opened in 1957 and now has a collection of over 150 aircraft, more than 50 of which are flyable. The mission of the museum is to preserve aviation history, inspire interest in aviation, educate the public, and honor aviation pioneers and veterans. The Museum spans the history of manned flight from the Chanute Hang Glider of 1896 to the Space Age of Apollo, with locations in Chino, California and Valle-Grand Canyon, Arizona. 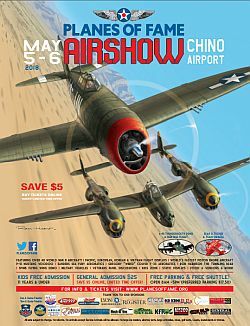 We talk with Steve about the Museum and the annual Planes of Fame Airshow, in 2018 to be held May 5-6 at Chino Airport in California with about 45 flying warbirds. 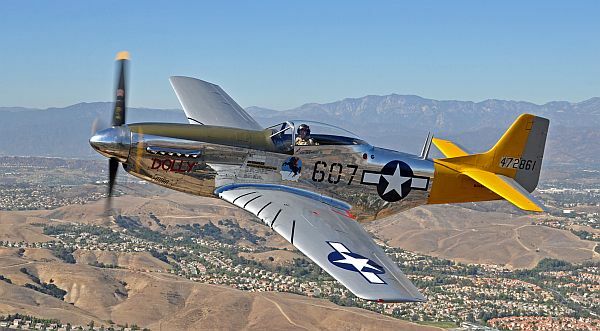 Steve explains how the Air Force Heritage Flight Foundation pairs modern aircraft with fighter aircraft from the WWII, Korea, and Vietnam eras for dramatic heritage flights around the world. This year he flew a P-51 Mustang leading two A-10s and an F-16 in the heritage flight over the Super Bowl LII opening ceremony. Steve held a world speed record from 1979 to 1989 and won six Unlimited-class air races, including two national championships. He won four consecutive Unlimited races in one year and remains the only pilot ever to do so. He retired from racing in 1990 and was honored in 2016 with the Crystal Eagle Award from the Aero Club of Northern California. Steve also owns Fighter Rebuilders, a military aircraft restoration company. He was our guest on Episode 386 in January 2016. Learn more at the Planes of Fame Air Museum website, follow them on Twitter, Facebook, Instagram, and YouTube. On March 13, from Victorville, California, GE’s new GE9X engine flew more than four hours mounted to the company’s 747 testbed aircraft. The 100,000-pound thrust-class engine has a 134-inch fan and is intended for the Boeing 777X, scheduled for EIS in 2020. Open-door helicopter flights are popular with tourists and photographers, but recently one of these flights went down in a river, killing all 5 passengers on board. It appears that they were unable to escape from the harnesses that held them in the chopper. The family of one victim has filed a lawsuit and the FAA issued a temporary nationwide ban on open-door flights unless they are equipped with restraint systems that open with one action. Bad press seems to dog United Airlines frequently these days. But they went above and beyond after mistakenly shipping a German Shepherd Dog to Japan. They returned the pooch via a privately chartered jet. Customs and Border Protection is testing biometric scanning at some U.S. international airports at boarding points. Cameras at the gate send passenger photographs to CBP where they are checked against photos on file and to make sure that person is booked on the manifest. Some critics point to possible bias and privacy protection issues. The smallest member of the family, the Boeing 737 MAX 7, flew on March 17, 2018, for 3 hours and 5 minutes. The flight test program now begins with certification and delivery expected in 2019. 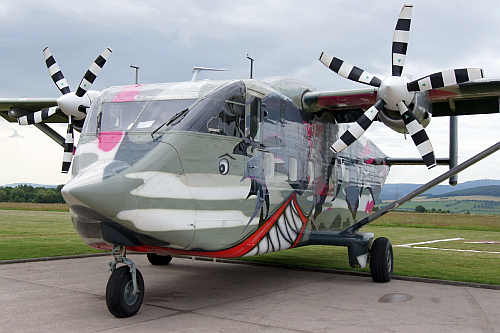 The airplane has a maximum capacity of 172 passengers and a range of 3,850 nautical miles. Bloomberg reports that hackers were attempted to penetrate the U.S. civilian aviation industry early in 2017. Details aren’t provided, but Jeff Troy, executive director of the Aviation Information Sharing and Analysis Center (A-ISAC), said the attack had limited impact. Also that the industry has taken steps to prevent a repeat of the intrusion. US-CERT has issued a detailed report. A task group co-chaired by AOPA looked at GPS interference when certain military activities are conducted. GPS signals are fragile, says AOPA and the FAA needs to ensure that alternate navigation aids and capabilities are available. The March 2018 report contains 25 recommendations: Operational Impacts of Intentional GPS Interference: A Report of the Tactical Operations Committee in Response to Tasking from the Federal Aviation Administration [PDF]. Although not specifically about commercial aircraft, it is a great story about the contribution woman have made to Pratt & Whitney. Airplane Geeks Reporter-at-Large Launchpad Marzari speaks with Ken VeArd from Pilot Partner about getting paper out of the cockpit. 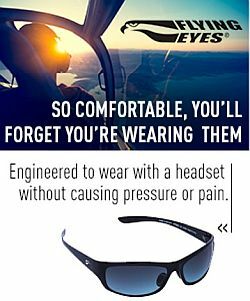 Ken was kind enough to offer a discount code for Airplane Geeks listeners. The interview begins at about 1:28 into the episode. The Sticks, Stories, Scotch blog by listener Aaron. This entry was posted in Episodes and tagged 737MAX, accident, Airport security, GE9X, hacking, heritage flights, Museum, NextGen, P-51, Pilot Partner, Planes of Fame, Pratt & Whitney, United Airlines on March 21, 2018 by maxflight.